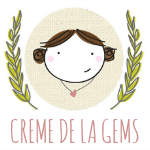 Creme de la Gems: delicious and FAST soup! with nothing planned or pulled out for dinner. I grab some Italian sausage links from the fridge, thinking I could make a quick spaghetti. and my thinking changed to SOUP! 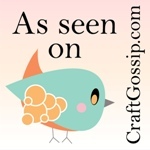 Drizzle 1 TBSP of Olive Oil in heated soup pot. Add 6-8 Italian sausage links cut into bite size pieces. Sprinkle 2 teaspoons of dried Italian seasonings on top of sausage. Saute seasonings & sausage for a few minutes, until brown. Add 8-10 cups of chicken broth. Stir to release sausage bits from bottom of pot. Allow liquid to come to full boil. Pour in 1/2 to1 lb dried pasta & stir. Boil pasta for 5 minutes and add 2 cups frozen spinach. Boil for 5 or more minutes until pasta & spinach are fully cooked. Serve in pretty bowls & sprinkle shredded Parmesan cheese on top. And tell me...does your kid want to learn Calligraphy? I think he's pretty darn good! Yes, that soup looks really delicious! I wonder how it would taste with gluten free noodles as I am allergic to wheat... hope your little man gets better soon!